1. Results of properly conducted SFSTs are admissible to show probable cause to arrest. 2. SFSTs cannot be used to establish a blood alcohol content. 5. If the officer testifies he performed and observed HGN, the defendant may bring out the other numerous causes of HGN through cross-examination or judicial notice. 6. The officer’s lay opinion cannot include his technical or specialized knowledge concerning the SFSTs. The following cases have ruled horizontal gaze nystagmus inadmissible before the fact finder. State v. Chastain, 960 P.2d 756 (Kan. 1998) (HGN does not satisfy Frye); State v. Witte, 836 P.2d 1110 (Kan.1992) (HGN must satisfy Frye to be admitted); Young v. City of Brookhaven, 693 So.2d 1355 (Miss. 1997) (HGN does not satisfy Frye but may be used for probable cause); State v. Doriguzzi, 760 A.2d 336 (N.J. Super.Ct. App. Div. 2000) (HGN must meet Frye to be admissible); State v. Torres, P.2d 20 (N.M.1999) (state must first satisfy Daubert and show the validity and reliability of the test before HGN may be admitted); Commonwealth v. Apollo, 603 A.2d 1023 (Pa. Super. Ct.1992) (affirmed trial court’s exclusion of HGN for failure to meet Frye); State v. Murphy, 953 S.W.2d 200 (Tenn.1997) (must satisfy Daubert to be admissible). These cases have allowed HGN in evidence. State v. Dahood, 814 A.2d 159 (N.H.2002) (HGN admissible under Daubert for limited purpose of providing circumstantial evidence of intoxication); State v. O’Key, 899 P.2d 663(Or. 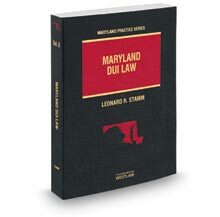 1995) (HGN admissible to show defendant under the influence but not a specific BAC level under Daubert type analysis); Schultz v. State, 664 A.2d 60 (Md.App. 1994) (HGN only admissible to show presence of alcohol if officer properly qualified and test properly administered); Malone v. City of Silverhill, 575 So.2d 101 (Ala.Crim.App. 1989) (admission of HGN without laying proper predicate was harmless error, officer must be qualified to give test and HGN reliability must be shown), rev. sub. nom, Ex parte Malone, 575 So.2d 106 (Ala. 1990) (was not harmless error); Ballard v. State, 955 P.2d 931 (Alaska Ct.App.1998) (HGN admissible to show consumption of alcohol); State v. City Court of City of Mesa, 799 P.2d 855 (Ariz.1990) (may be used to show probable cause to arrest and impairment as with any other field sobriety test, may not be used to show specific BAC); Whitson v. State, 863 S.W.2d 794 (Ark.1993) (admissible to show alcohol consumption); People v. Joehnk, 42 Cal.Rptr.2d 6 (Cal.Ct.App.4th 1995) (HGN admissible as basis for officer’s opinion but not to quantify BAC or prove guilt standing alone); State v. Russo, 773 A.2d 965 (Conn.App. 2001) (HGN admissible if state satisfies Daubert); State v. Ruthardt, 680 A.2d 349 (Del.Super.Ct.1996) (if foundation laid, HGN admissible as circumstantial evidence of impairment and to corroborate test result but not to show BAC in absence of test); Bowen v. State, 745 So.2d 1108 (Fla.App. 1999) (must be a confirmatory BAC test before HGN may be admitted); Hawkins v. State, 476 S.E.2d 803 (Ga.App. 1996); State v. Ferrer, 23 P.3d 744 (Ha.App. 2001) (admissible for probable cause); State v. Garrett, 811 P.2d 488 (Idaho 1991) (HGN may be used as circumstantial evidence of intoxication); People v. Buening, 592 N.E.2d 1222 (Ill.App.Ct.1992) (HGN admissible if proper foundation laid, but not to establish specific BAC); Cooper v. State, 761 N.E.2d 900 (Ind.App. 2002) (HGN admissible to show impairment); State v. Murphy, 451 N.W.2d 154 (Iowa 1990) (HGN admissible); State v. Armstrong, 561 So.2d 883 (La.Ct.App.1990) (with proper foundation may be admitted as evidence of intoxication); State v. Taylor, 694 A.2d 907 (Me.1997) (test admissible but not to specify BAC); Commonwealth v. Sands, 675 N.E.2d 370 (Mass.1997) (expert testimony necessary to admit); People v. Berger, 551 N.W.2d 421 (Mich.Ct.App.1996) (HGN meets Frye); State v. Klawitter, 518 N.W.2d 577 (Minn.1994) (HGN meets Frye); State v. Hill, 865 S.W.2d 702(Mo.Ct.App.1993) (HGN may be used to show intoxication, specific BAC with properly trained officer); Hulse v. State, 961 P.2d 75 (Mont.1998) (HGN admissible if proper training, administration of test and scientific basis for test); State v. Baue, 607 N.W.2d 191 (Neb.2000) (admissible to show impairment but not precise BAC); People v. Quinn, 580 N.Y.S.2d 818 (N.Y.Dist.Ct. 1991), rev’d on other grounds, 607 N.Y.S.2d 534 (N.Y.Sup. 1993) (“drug recognition expert” (DRE) protocol and HGN satisfy Frye); State v. Helms, 504 S.E.2d 293 (N.C.1998) (proper foundation must be laid before may be admitted); City of Fargo v. McLaughlin, 512 N.W.2d 700 (N.D.1994) (with proper qualifications and administration of test HGN admissible as circumstantial evidence of intoxication, not to quantify BAC); State v. Bresson, 554 N.E.2d 1330 (Ohio 1990) (HGN admissible but not to quantify BAC); Yell v. State, 856 P.2d 996 (Okla.Crim.App.1993) (HGN admissible but not to quantify BAC); State v. Sullivan, 426 S.E.2d 766 (S.C. 1993) (may be used to show lack of sobriety but not to quantify BAC); Emerson v. State, 880 S.W.2d 759 (Tex. Crim.App.1994) (if technique valid and applied correctly admissible but not to show BAC); Salt Lake City v. Garcia, 912 P.2d 997 (Utah Ct. App.1996) (HGN admissible, not scientific); State v. Cissne, 865 P.2d 564 (Wash. Ct. App.1994) (if meets Frye is admissible); State v. Barker, 366 S.E.2d 642 (W.Va. 1988) (HGN admissible but not to show BAC); State v. Zivcic, 598 N.W.2d 565 (Wis.Ct.App.1999) (HGN admissible if officer properly qualified); Smith v. State ex rel. Wyoming Dept. of Transp., 11 P.3d 931 (Wyo.2000) (HGN admissible at administrative hearing). Only a few states have reported decisions addressing challenges to so-called “drug recognition experts” (DREs). See e.g., State v. Baity, 21 P.2d 262 (Wash. 2001) (DRE “protocol meets the mandate of Frye” — expert opinion allowed as to presence or absence of drugs if officer properly qualified and tests properly administered); State v. Sampson, 6 P.3d 543 (Or.App. 2000) (modified Daubert analysis — “we hold that the procedure and results of the DRE protocol are admissible in a DUII-CS proceeding to show that a defendant was under the influence of a controlled substance . . . the state must make a foundational showing ‘that the officer who administered the test was properly qualified, the test was administered properly, and the test results were recorded accurately’”); Williams v. State, 710 So.2d 24, (Fla.App. 1998) (Frye inapplicable to portion of DRE protocol other than HGN because it is not scientific and inapplicable to HGN because it is not novel — DRE expert opinion permitted — HGN admissible to show impairment but not specific BAC); United States v. Everett, 972 F.Supp. 1313 (D.Nev. 1997) (if proper foundation is laid officer can testify as to probabilities but not as to established fact); State v. Klawitter, 518 N.W.2d 577 (Minn. 1994) (DRE satisfies Frye — opinion admissible if officer properly trained and tests properly administered, cannot refer to officer as “Expert”); People v. Quinn, 580 N.Y.S.2d 818 (N.Y.Dist.Ct. 1991) (DRE protocol and HGN satisfy Frye). In Izer v. State, 511 S.E.2d 625 (Ga.App. 1999), the court held laser evidence did not meet Georgia’s requirement of “scientific stage of verifiable certainty” or resting “on the laws of nature” but the legislature quickly enacted legislation allowing the evidence. Van Nort v. State, 550 S.E.2d 111 (Ga.App. 2001). See also, Goldstein v. State, 664 A.2d 375 (Md. 1995) (laser satisfies Frye). Although the statute does not set forth any requirements for proving the accuracy of the radar, the Court in Great Coastal Express, Inc. supra, relying on United States v. Dreos, 156 F.Supp. 200 (D.Md.1957) and Villegas v. Brysor, 494 P.2d 61, 16 Ariz.App. 456 (1972), set forth some guidelines stating at p. 715, 369 A.2d 118, It is sufficient to show that the equipment has been properly tested and checked, that it was manned by a competent operator, that proper operative procedures were followed, and that proper records were kept. PBTs, also referred to as preliminary breath tests or portable breath tests, have been held inadmissible by some courts, admissible by others and others have allowed admission only to show probable cause. They are considered extremely unreliable. Some of the cases prohibiting admission are: Harmon v. State, 809 A.2d 696 (Md.App. 2002); People v. Rose 643 N.E.2d 865 (Ill.App. 1994) (inadmissible in state’s case-in-chief - rebuttal reserved); Patrick v. State, 750 S.W.2d 391 (Ark. 1988) (only defendant can introduce PBT because they are unreliable); State v. Zell, 491 N.W.2d 196, 197 (Iowa Ct.App.1992) (“[t]he results of the preliminary screening test are inadmissible because the test is inherently unreliable and may register an inaccurate percentage of alcohol present in the breath, and may also be inaccurate as to the presence or absence of any alcohol at all”); People v. Keskinen, 441 N.W.2d 79 (1989); Justice v. Director of Revenue, 890 S.W.2d 728, 731 (Mo.Ct.App.1995) (by statute); Commonwealth v. Stanley, 629 A.2d 940 (Pa.Super. 1993) (stating that PBT results are inadmissible); Thompson v. State Dept. of Licensing, 91 Wash.App. 887, 960 P.2d 475, 477 (1998) (holding that “the results of a portable breath test are not admissible as evidence at trial or to establish probable cause for arrest”); State v. Beaver, 512 N.W.2d 254 (Wis. 1994) (PBT not admitted). The emergency room at the VAMC undoubtedly is a “person” which “in part” “holds itself out as providing, and provides, . . . drug abuse diagnosis, treatment, or referral for treatment.” In fact, Eide received such services there. A hospital emergency room, while obviously also performing functions unrelated to drug abuse, serves as a vital first link in drug abuse diagnosis, treatment, and referral. Indeed, it is apparent that many drug abusers are first diagnosed as having a drug abuse problem, and are first given treatment or a referral for their drug abuse, at a hospital emergency room in conjunction with a suspected drug overdose. Eide held that emergency room records were covered by the federal prohibition and suppressed the defendant’s urinalysis result showing drug use. In State v. King, 535 S.E.2d 492 (Ga. 2002), the Supreme Court held that although Georgia had no statutory or common law physician-patient privilege, the Georgia state constitution contained a right of privacy flowing from “natural law” that shielded the defendant’s medical records containing a blood alcohol reading of .15 from a state issued subpoena. The court found that due process was violated by the state obtaining private medical records through a subpoena without notice to the patient. As a result the court reversed the defendant’s drunk driving conviction. The victory for patients in Georgia was short-lived however, since the Georgia Supreme Court shortly thereafter distinguished the case of a different King, holding that a search warrant for medical records containing a blood alcohol reading did satisfy due process concerns sufficiently to overcome the defendant’s right of privacy. King v. State, 2003 WL 168665 (Ga. 2003). See also, Moore v. State, 442 So.2d 164, 167 (Ala.Cr.App.1983) (government must show that breath instrument was in good working order); State v. Geinzer, 406 N.W.2d 457 (Iowa Ct.App.1987) (reading of .01 during “air blank” step rather than .00 rendered test inadmissible because showing of accuracy and reliability required in addition to compliance with statute). In California, the state must prove one of two possible foundations, either compliance with Title 17 of the California Code of Regulations or the three part foundation of “(1) properly functioning equipment, (2) a properly administered test, and (3) a qualified operator.” People v. Williams, 121 Cal.Rptr.2d 854 (Ca. 2002); People v. Bury, 58 Cal.Rptr.2d 682 (Cal.App. 1996). In many states, courts have ruled, under a number of different provisions, that a person arrested for drunk driving has a right to consult with counsel, prior to deciding whether to take or refuse a chemical test E.g., Sites v. State, 481 A.2d 192 (Md. 1984) (Fourteenth Amendment due process); State v. Juarez, 775 P.2d 1140 (Ariz. 1989) (Arizona Rules of Criminal Procedure, Rule 6.1); State v. Carmody, 442 A.2d 1292 (Vt. 1982) (by statute - 23 V.S.A. §§ 1202(c); Kuntz v. State Highway Commissioner, 405 N.W.2d 285 (N.D. 1987) (by statute - N.D.C.C. § 29-05-20); Kuhn v. Commissioner of Public Safety, 488 N.W.2d 838 (Minn.App. 1992) (state constitution); State v. Rodenheffer, 580 N.E.2d 864 (Ohio Mun. 1991) (by statute); State v. Garvey, 595 A.2d 267 (Vt. 1991); but see, State v. Bristor, 691 P.2d 1 (Kan. 1984) (if read Miranda warnings, defendant must be told does not apply to election to take breath test). Those cases that recognize the right to counsel hold that it is a limited right and may not interfere with the reasonable efforts of the police to obtain a sample within relevant time requirements. Sites; Village of Lexington v. Reddington, 621 N.E.2d 758 (Ohio App. 1993) (not enough time given to consult with counsel). Some cases hold that police do not have to advise suspects of the right to counsel, but that it depends upon the request of the detained person. E.g., McAvoy v. State, 551 A.2d 875 (Md. 1989); but see, State v. Duff, 394 A.2d 1145 (Vt. 1978) (advice required by statute). The right to counsel has been held to include the right to a face to face consultation between counsel and the accused, as well as a private PBT, Brosan v. Cochran, 516 A.2d 970 (Md. 1986), as well as the right to a private consultation, out of earshot of the police. State v. Holland, 711 P.2d 592 (Az. 1985); State v. Durbin, 63 P.3d 576 (Or. 2003) (right to counsel in state constitution — privacy required whenever defendant requests counsel - request for privacy implied from request for counsel). Other jurisdictions have held that there is no right to counsel before deciding whether to take or refuse a chemical test of blood or breath. E.g., State v. Taniguchi, 815 P.2d 24 (Haw. 1991) (defendant must be advised has no right to counsel if expresses confusion about right to counsel). Requesting counsel may constitute a refusal. Dikeman v. Charnes, 739 P.2d 870 (Colo.App. 1987). In those jurisdictions where the refusal to submit to a test is a separate crime, not only may there be a limitation on recognition of the right to counsel, but it may also be a crime to advise a person to refuse the test. See, e.g., 36 CFR § 4.23. A number of jurisdictions have recognized a right, under relevant federal or state constitutional or statutory provisions, for a drunk driving defendant to obtain an independent test in order to contest the state’s alcohol test evidence. In re Koehne, 356 P.2d 179 (Cal. 1960); Commonwealth v. Alano, 448 N.E.2d 1122 (Mass.1983); State v. O’Donnell, 225 Ga.App. 502, 484 S.E.2d 313 (1997); State v. Snipes, 478 S.W.2d 299 (Mo.1972); Montano v. Superior Court In and For Pima County, 719 P.2d 271 (Ariz. 1986); State v. Dake, 529 N.W.2d 46 (Neb.1995); Schroeder v. State, 772 P.2d 1278 (Nev.1989); Snyder v. State, 930 P.2d 1274 (Alaska 1996) (due process right to independent test even if refuses state test - sanction for interference is to presume the test would have been favorable); but see, State v. Larivee, 56 N.W.2d 226 (Minn. 2003) (defendant only has right to independent test if submits to state test). The West Virginia Supreme Court has held that the state must provide for an independent test if the defendant cannot afford one, although the costs may be assessed on a guilty finding. Moczek v. Bechtold, 363 S.E.2d 238 (W.Va. 1987). In Arizona, the right to an independent test is not satisfied by the opportunity to test the sample drawn for the state. State v. Olcan, 61 P.3d 475, (Ariz.App. 2003) (charges dismissed for denial of opportunity to obtain independent sample). A number of the jurisdictions that recognize the right to an independent breath test also require the officer to advise the defendant of the option. Municipality of Anchorage v. Serrano, 649 P.2d 256 (Alaska App. 1982) (state must either preserve sample of breath or advise defendant of right to an independent test under due process clause of state constitution, Const.Art. 1, § 7); State v. McCard, 326 S.E.2d 856 (Ga. App. 1985); Mitchell v. City of North Little Rock, 692 S.W.2d 624 (Ark. 1985) (not advised of full range of tests available); but see, State v. Bloomer, 618 N.W.2d 550 (Iowa 2002) (advice not required). In the jurisdictions where the advice is required, the failure to comply with the advice requirement can lead to the suppression of the state’s test evidence or dismissal. State v. Minkoff, 42 P.3d 223 (Mont.2002) (dismissal - overruling State v. Strand, 951 P.2d 552 (Mont. 1997), which held suppression of state’s test was proper remedy for failure to advise). At least one state requires advice of the right to an independent test only where the police utilize the implied consent procedure and obtain a state test. Grayson v. State, 783 S.W.2d 75 (Ark.App. 1990) (sanction for failure to advise is suppression of the state test); but see, Montano v. Superior Court, 719 P.2d 271 (Ariz. 1986) (advice required where state does not utilize implied consent procedure - sanction is dismissal). In State v. Minkoff, 42 P.3d 223 (Mont.2002), the Montana Supreme Court held that where the officer discouraged the defendant from choosing an independent blood test by telling him the test would be higher than the state’s test, the proper sanction was dismissal. The court overruled its prior decision in State v. Strand, 951 P.2d 552 (Mont. 1997), where it had held that where there is a state test the proper sanction for failure to advise of the right to an independent test is suppression. In State v. Livesay, 941 S.W.2d 63 (Tenn.Cr.App. 1996) (denial after a request) the court ruled that dismissal was the appropriate remedy for preventing the defendant from obtaining an independent test. See also, People v. Underwood, 396 N.W.2d 443 (Mich. App. 1986) (officer persuaded defendant not to obtain independent test - conviction reversed and case dismissed); State v. McNichols, 884 P.2d 620 (Wash. App. 1994) (sanction for unreasonably delaying independent test was dismissal). In State v. Braunecker, 566 S.E.2d 409 (Ga.App.2002), the court held the state’s breath test should have been suppressed where the defendant was denied an opportunity to obtain an independent test. See also, State v. George, 754 P.2d 460 (Kan.App. 1988) (refusal to take defendant to hospital required suppression of state’s test); State v. Pipkin, 364 S.E.2d 464 (S.C. 1988) (suppression of both state and independent tests where the officer seized the independent test sample and told the defendant to get another one); Lau v. State 896 P.2d 825 (Ak.App.1995) (discouraging defendant from taking independent test required suppression of state’s test). A number of cases have recognized that where the defendant has a right to an independent test, that an unreasonable period of detention, which prevents the defendant from being able to obtain a relevant test, may violate due process. Commonwealth v. Hampe, 646 N.E.2d 387 (Mass. 1995); Commonwealth v. King, 706 N.E.2d 685, 688 (Mass. 1999). The sanction is dismissal unless there is overwhelming evidence of the defendant’s intoxication. See also, State v. Greeley, 808 A.2d 108 (N.J.Super. 2002) (unreasonable release policy, which had effect of denying defendant independent test required suppression of state’s test). There are many cases holding that failure to give proper implied consent warnings, or giving inaccurate and misleading information in addition to or instead of the required implied consent warnings violates due process and requires the suppression of the test results obtained thereby. Kitchens v. State, 574 S.E.2d 451 (Ga.App. 2002); State v. Wilson, 987 P.2d 268 (Haw.1999); Cooper v. Dept. of Licensing, 810 P.2d 1385 (Wash. 1991); Smith v. State of Nebraska, Department of Motor Vehicles, 535 N.W.2d 694 (Neb. 1995); Graves v. Commonwealth, 535 A.2d 707 (Pa. 1988); Beem v. State, 805 P.2d 495 (Ida.App.1991); Buchanan v. Registrar, Ohio Bureau of Motor Vehicles, 619 N.E.2d 523 (Oh. 1993); Bennett v. Director of Revenue, 889 S.W.2d 166 (Mo.App.1994); State v. Sells, 798 S.W.2d 865 (Tex.App.1990); State v. Kozel, 505 A.2d 1221 (Vt. 1986); State v. Spencer, 750 P.2d 147 (Or. 1988); State v. Stade, 683 A.2d 164 (Me. 1996). In many jurisdictions, failure to comply with the requirements of the implied consent statute can result in exclusion of the test result in evidence. E.g., State v. Loscomb, 435 A.2d 764 (Md. 1981); State v. Coleman, 455 S.E.2d 604 (Ga.App. 1995); State v. Stade, 683 A.2d 164 (Me. 1996) (suppression of test result at trial affirmed where officer failed to read implied consent advisory and gave false and misleading advice). Some courts have found that administering rights under Miranda v. Arizona, 384 U.S. 436 (1966), can cause confusion which can impair the validity of the implied consent advisement by misleading the defendant to believe there is a right to counsel or to silence. The officer is required to explain that the right to counsel and to remain silent does not apply to the requirement that the defendant submit to a test. E.g., Transportation v. O’Connell, 555 A.2d 873 (Pa. 1989); Dept. of Highways v. Beckey, 192 N.W.2d 441 (Minn. 1971); State v. Severino, 537 P.2d 1187 (Haw. 1975); Graham v. State, 633 P.2d 211 (1981). The Fifth Amendment prohibits compelled custodial interrogation. A court must determine whether the defendant was in “custody” and whether the responses of the defendant were “testimonial.” In Berkemer v. McCarty, 468 U.S. 420 (1984), the Supreme Court ruled that “custody” for the purposes of the Fifth Amendment, occurs when “a reasonable person would no longer feel free to leave,” the officer’s presence. Although, in Berkemer, a drunk driving case, this occurred after field sobriety tests at the moment of the official arrest, the moment when the arrest occurs will not always be when “custody” begins. In Pennsylvania v. Muniz, 496 U.S. 582 (1990) the Supreme Court ruled that the response to the question on a videotape, “Do you know what the date was of your sixth birthday?” was testimonial, because it involved the thought process of the defendant. Additionally, in Pennsylvania v. Bruder, 488 U.S. 9 (1988), the Supreme Court reserved the question of whether the recitation of the alphabet is testimonial. State constitutional provisions may not be interpreted so narrowly. For example, in State v. Fish, 893 P.2d 1023 (Or. 1993), the Oregon Supreme Court held that refusal to perform standardized field sobriety tests violated the state constitutional prohibition against compelled self incrimination. See also, South Dakota v. Neville, 459 U.S. 553 (1983) (refusal to submit to breath test does not violate the Fifth Amendment). In Allred v. State, 622 So.2d 984 (Fla. 1993), the Florida Supreme Court held that the recitation of the alphabet was testimonial for purposes of the Florida Constitution prohibition against compelled self incrimination. , 855 P.2d 1180 (Wash.App. 1993) (Sixth Amendment, rule); Fisher v. City of Eupora, 587 So.2d 878 (Miss.1991) (insufficient proffer); but see, Elmore v. State, 968 S.W.2d 462 (Tex.App.1998) (refusing to apply Ake in a drunk driving case). 1. BAC has been used to mean “blood alcohol concentration,” “breath alcohol concentration,” or “body alcohol concentration,” sometimes interchangeably, depending upon the jurisdiction and type of test. 2. The court said, “As Dr. Burns has observed, ‘the objective of the test is to discriminate between drivers above and below the statutory BAC limit, not to measure driving impairment.’ 1998 [California, J. Stuster and M. Burns, Validation of the Standardized Field Sobriety Test Battery at BACs Below 0.10 Percent,] Final Report[, submitted to U.S. Dept. of Transportation, NHTSA (1998)], supra, at 28 (emphasis added).” Lasworth, 42 P.2d at 848. Editor’s note: Part Two will appear in the September/October issue.